FLIR Systems, Inc., "the world's sixth sense", is an iconic global leader in thermal imaging. Recently they have been evolving their exciting thermal technologies, normally found in expensive industrial and scientific applications, into consumer products from smartphones to drones. Those technologies have never been more accessible to consumers and third party developers than now, and we pride ourselves on having a hand in that. Get updated information below on the FLIR products and related accessories that are fueling new thermal imaging innovations from makers to seasoned product teams worldwide and get them in our store. 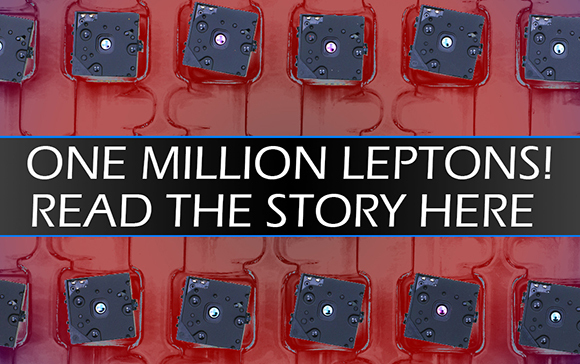 Congratulations to FLIR on the one millionth Lepton! Read our insider's perspective from Beta to 1M.